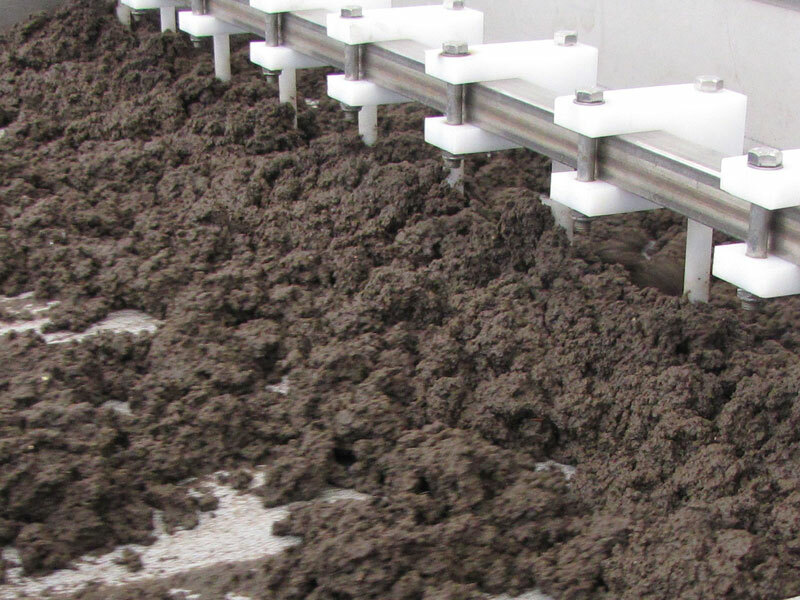 Gravabelt® Gravity Belt Thickeners reduce sludge volume of biosolids and waste activated sludge and produce a pumpable concentrate for dewatering, transport, or further digestion. 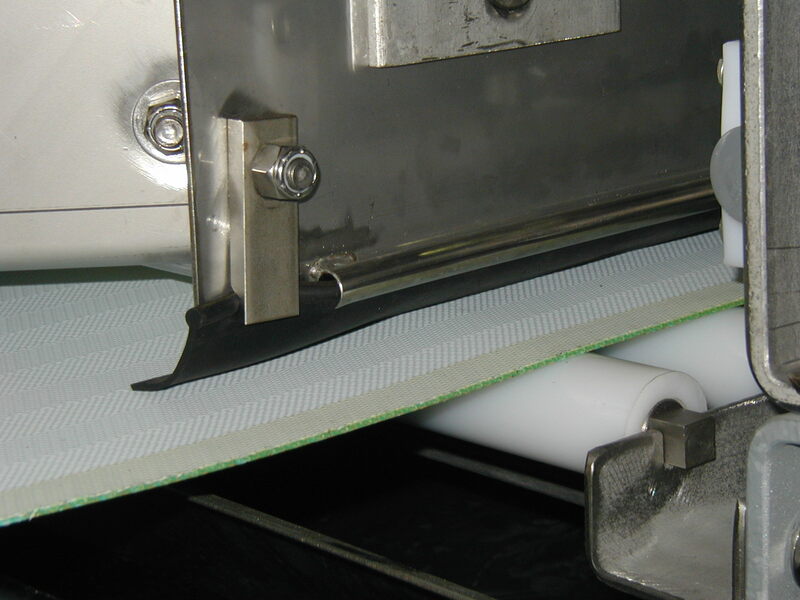 The K-SGravabelt® uses only gravity and a porous drainage belt along with our Roto-Kone High Rate Drainage system to enhance thickening performance at a reduced operating cost. 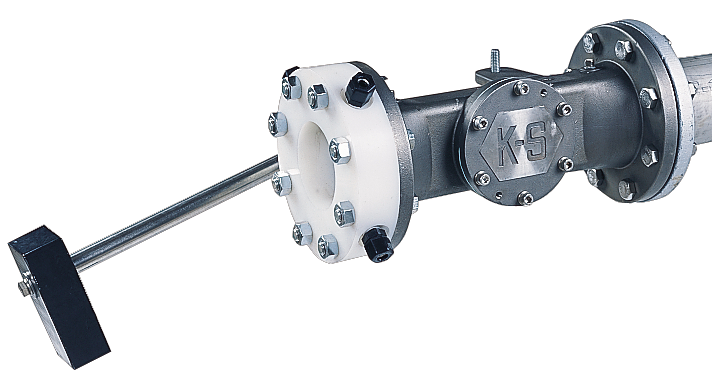 The K-S Gravabelt® is specifically designed for continuous operation, high hydraulic throughput, low polymer usage, low maintenance, and long operational life in the highly corrosive environment of waste treatment. 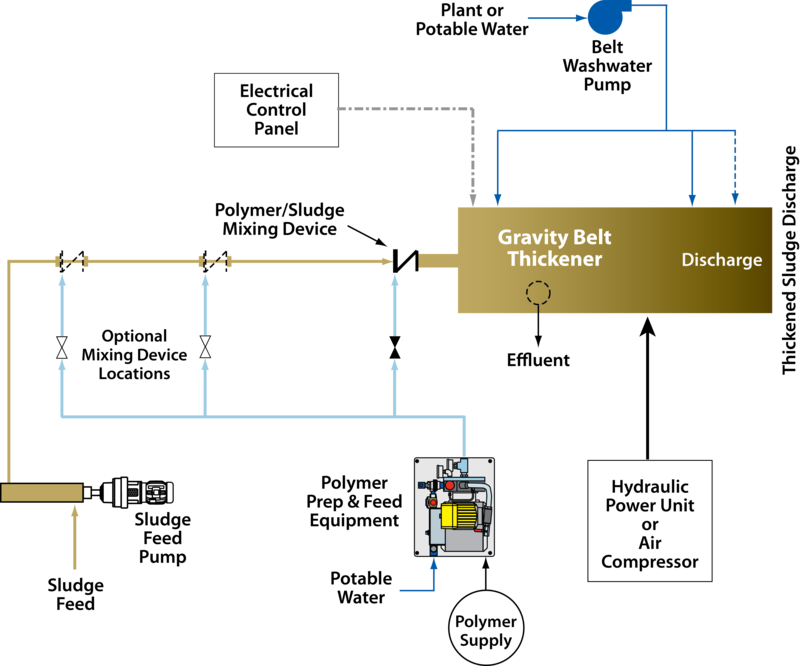 A Gravity Belt Thickener employs gravity drainage through a filter belt to thicken polymer conditioned sludge prior to digestion, mechanical dewatering, or trucking to a land application site or disposal site. 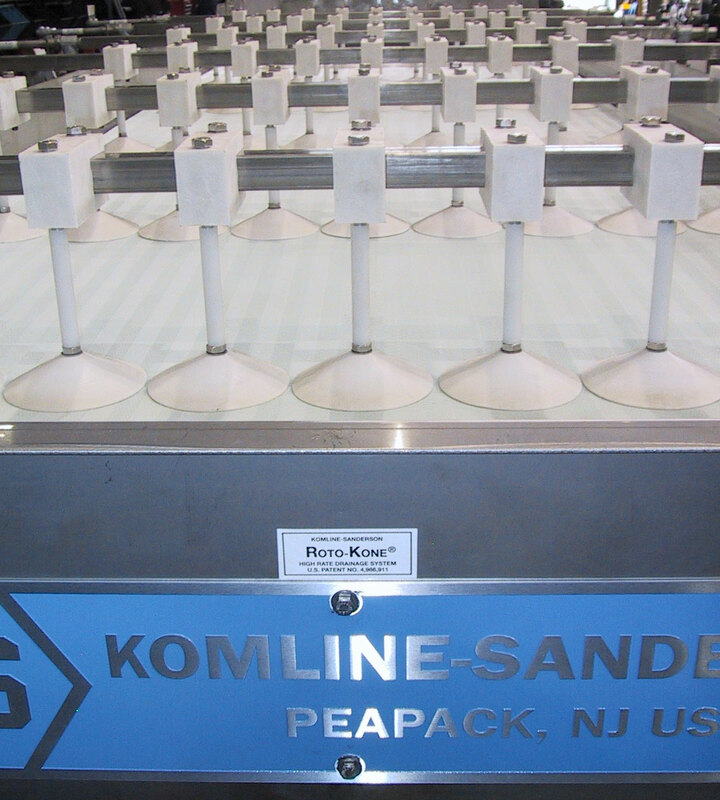 Dilute sludge (typically 0.5% to 1.0%) is introduced at the feed end of a horizontal filter belt. As the slurry makes its way down the moving belt free water drains through the porous belt. The solids are continuously turned, encouraging the drainage of more water. K-S’s exclusive Roto-Kone® High-Rate Drainage System actually holds back the solids while causing constant movement throughout the entire sludge blanket allowing optimal drainage of free water. Sludge is discharged at the end of the horizontal filter belt as a pumpable thickened sludge. GSC (three roll): designed for use in medium and large size wastewater treatment plants and having a high hydraulic loading rate, normally 200 to 250 GPM (12.6 to 15.8 liters/sec or 45 to 57 M3/h) per meter of belt width for thickening 0.5% waste activated sludge. This design is available in machine widths of 1, 1.5, 2, and 3 meters of effective belt width. GSCE (two roll): designed for use in medium and large size wastewater treatment plants and having a high hydraulic loading rate, normally 200 to 250 GPM (12.6 to 15.8 liters/sec or 45 to 57 M3/h) per meter of belt width for thickening 0.5% waste activated sludge. This design is available in machine widths of 1, 1.5, and 2 meters of effective belt width. The GSCE is available in a fully enclosed design. 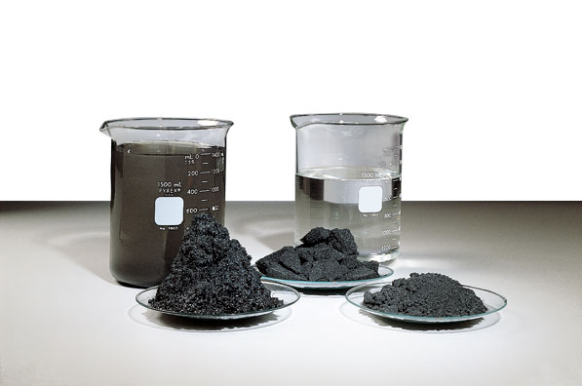 G-25 thickening system: designed for use in small plants and is generally appropriate for 0.5% to 1.0% waste activated sludge feed rates up to 125 GPM (7.9 liters/sec or 28 M3/h). 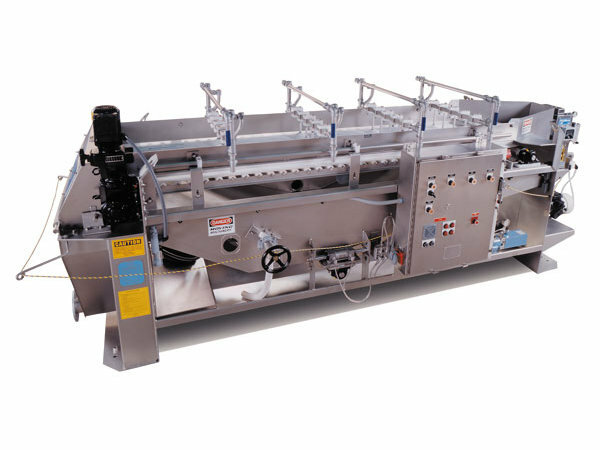 The model G-25 system is available in one size only, 0.75 meters effective width; it is a packaged, fully piped and wired thickening system complete with all auxiliaries. The GSC and GSCE series thickeners and auxiliary components are furnished as individual items for contractor installation, piping and wiring. Gravity belt thickener model selection is a function of hydraulic feed rate; the Model G-25 thickening system is generally appropriate for 0.5% to 1.0% waste activated sludge feed rates up to 125 GPM (7.9 liters/sec or 28 M3/h) and the GSC and GSCE series machines are appropriate for higher feed rates. 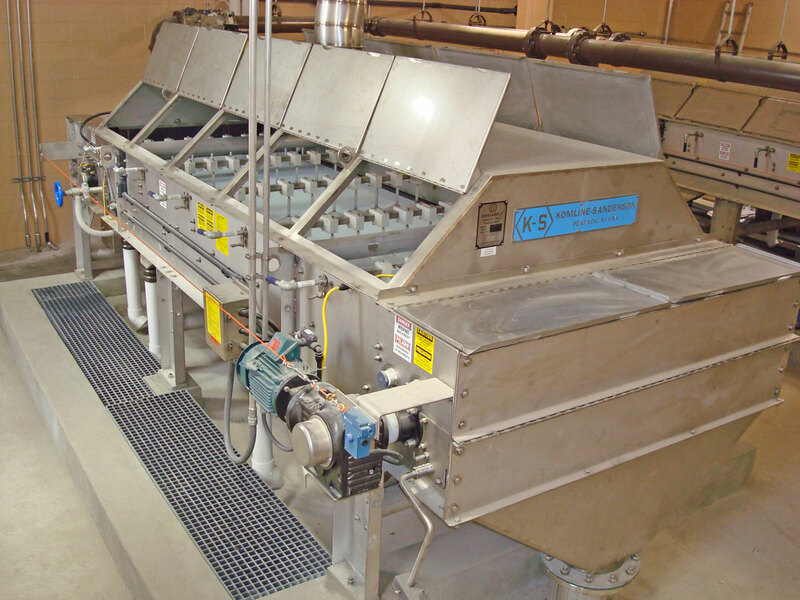 Komline-Sanderson’s Gravabelt® Gravity Belt Thickener is a rugged machine designed to provide many years of excellent service with minimum maintenance. The patented conical-shaped Roto-Kone® High Rate Drainage System uses the full length of the belt for higher efficiency. Provides increased drainage, flexibility, and higher loadings. Drainage elements located on stainless steel bars with a lifting mechanism, allowing operator to remove an individual station of elements from service by rotating the lifting handle. Slide-in side seals provide for better seal, easier replacement. Double row spherical roller bearings provide L-10 life of over 1,000,000 hours. A variable orifice polymer/sludge mixing valve to optimize polymer conditioning. K-S process and project engineers provide assistance at all phases of the project. 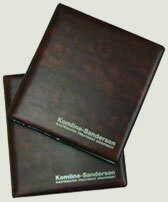 Depending on your specific requirements, K-S can provide you with a Gravabelt® or a complete system. 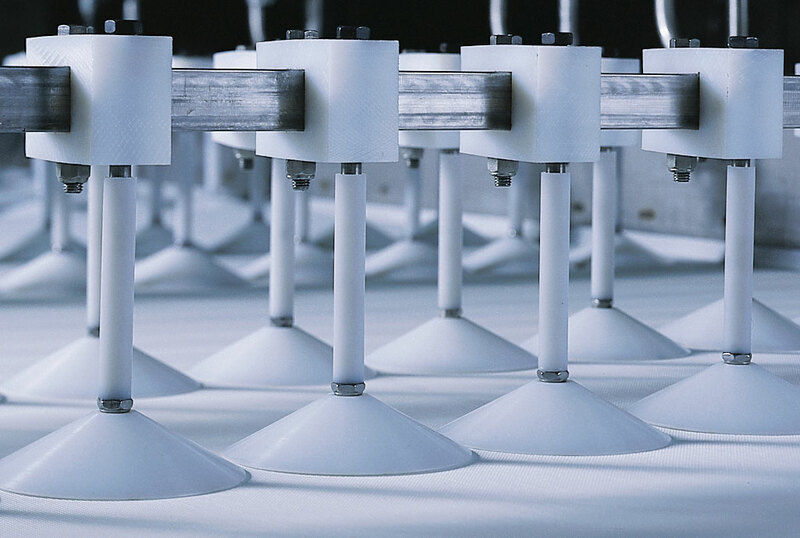 Do you supply a polymer feed system with the Gravabelt®? Do you provide extended warranties on the Gravabelt®?